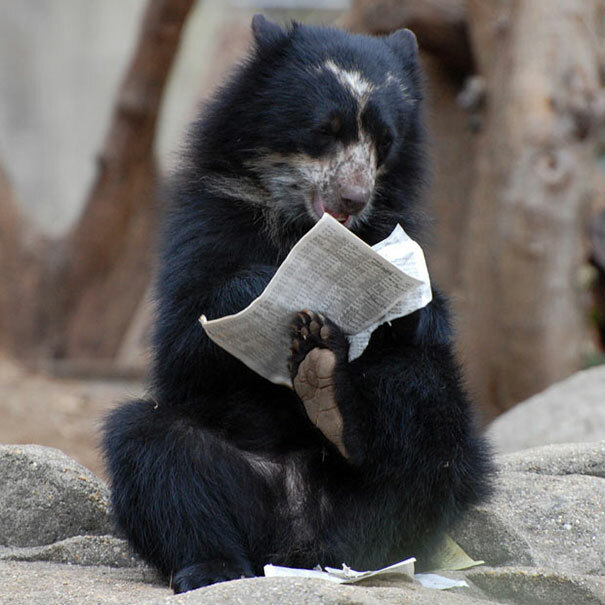 It is very interesting to see picture of black bear which is reading a paper alike a human. Humans usually read a book or something else to know the facts or information about different events or happenings. Picture show that black bear holds the paper with their back paws and keenly read it.